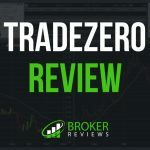 If you are looking for a good brokerage someone probably already mentioned Scottrade to you. And, you might be wondering if it really is as good as you hear. Well, to put it extremely shortly: Yes, it definitely lives up to the expectations. This brokerage offer full-service that you should be able to appreciate. The thing most users really like about the service is the client-broker relationship they foster. In fact, the very same day you fill out the form to become their client you will receive a call from a representative of a local branch to welcome you. And, of course, they will be there if you need assistance. 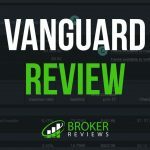 When you compare Scottrade to other brokerages who offer full service, you will notice they are definitely more affordable. 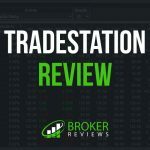 A regular stock trade will cost you $6.95 which is a dollar less than their closest competitor. It is also important to note that the fee structure is flat. There are no gimmicks and every trade will cost you the same unless you are trading shares under $1. If you are, they add 0.5% of the value of the trade to the fee. And, when it comes to options, we are glad to note that they did reduce the price of options trades in 2016. The base trade price is still $6.95, with the addition of 0.7 dollars per contract. Essentially, this makes them cost less than almost any of their competitors. And, the last thing we want to mention when it comes to fees – their mutual funds. Scottrade has an incredible number of mutual funds for you to choose from – 14,000 to be precise. 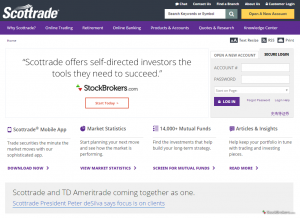 And, when you trade with Scottrade, a mutual fund trade will cost you 17 dollars. This is a very competitive price. The only thing we would like to mention as a flaw in this section is the fact that there are no commission-free ETF trades. A lot of people take Scottrade as the perfect example of what customer support should look like. They are probably the best when it comes to personalizing customer support and building a trust-based relationship. The help is always a short phone call away and they are very knowledgeable about the website. They are one of the rare services that will route your phone call directly to the local branch each time. And they have over 500 branches in the United States. The only flaw one could mention is that the phone support doesn’t work 24 hours a day. However, if you require help outside of their working hours, you can get assistance via Live Chat. 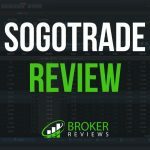 There are two platforms you can decide to use with Scottrade. If you have over 25 thousand dollars in your account, you can opt for Scottrade Elite. And, if not, you can go with Scottrade Streaming Quotes. Their basic platform, Scottrader Streaming Quotes, is a Java app that opens on your desktop and is really easy to set up. With the user-friendly interface that allows you to open multiple windows and customize your layouts, you will find it to be highly functional and rather straightforward. We also enjoy the fact that every watch list can be customized via drag-and-drop, and can consist of 40 securities. The only flaw we want to mention is that fitting the windows into a grid should be simpler. This platform has everything a casual investor requires. On the other hand, we have their ELITE platform. This platform is designed for those traders who are active enough to require functionalities that Scottrader Streaming Quotes doesn’t offer. It is also easy to use, for the most part. The windows have clear icons and tweaking your setup is superbly simple. This is, in part, thanks to the fact that they spent a lot of time improving their original design in 2016. Unfortunately, it lacks some depth. While they did improve the charting during the 2016 upgrade, they still offer only 67 technical studies.Which, to be fair, is not bad, but it is still below the standard of the industry which is over 100 studies. All of this means that the platform suffers in the research depth department, but it still is a very good platform that active traders will appreciate. Whether you are a new trader or a professional, you will definitely love the customer care Scottrade offers. With the ability to contact a local branch within a minute and knowledgeable assistance, you won’t have to worry about possible platform issues. The service itself is also very affordable and not many a competitor can match the price to service ration Scottrade offers. Not to mention an impressive number of mutual funds you can trade. However, they are less than perfect. Even the ELITE platform lacks several features we came to expect from brokers. But, in the end, it is up to you to decide if this brokerage is the best one for you.